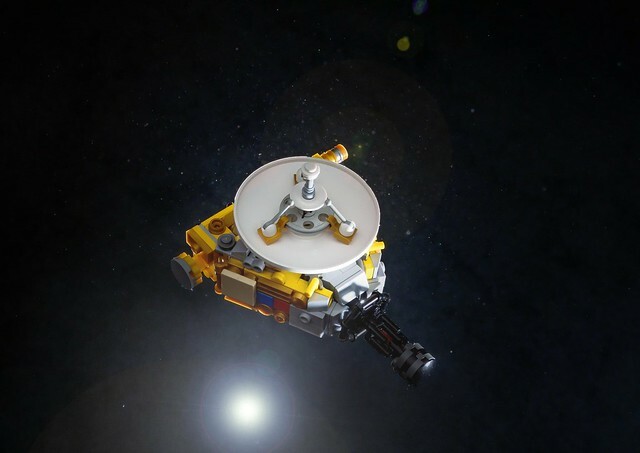 As I'm sure most of you know by now, NASA's New Horizons probe has finally made it to Pluto after 9 years (or more precisely 3463 days, for anyone who cares) of floating around in space. All of you should know this, if for no other reason that Iain Heath had his probe blogged on the Brothers Brick recently. I'd like to bring you to the attention of another model of the same probe by fellow Kiwi builder, Chris Yee. 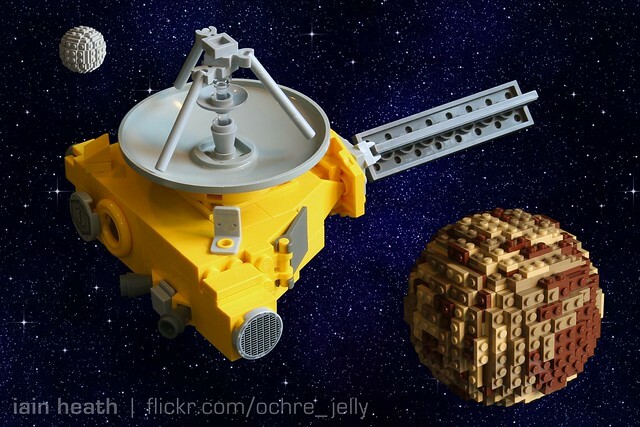 Both models are recognizable as the New Horizons probe, yet they are very different builds. Iain has a much more simplistic approach, limiting the color scheme to yellow and light and dark bley. Chris on the other hand has some less conventional building methods, and a much larger range of colors and textures to portray the surfaces seen on the real thing. Both feature some great presentation and look great, so they tick just about every box in my books. Which approach do you find more effective? comment below!